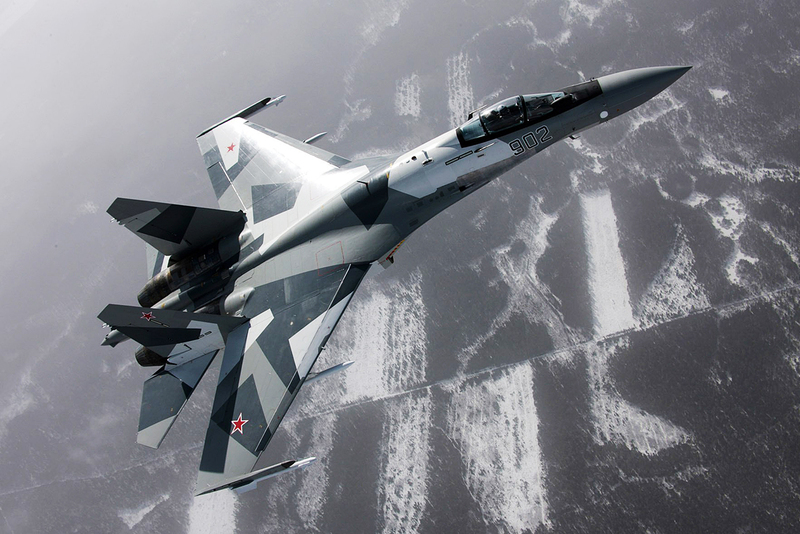 The Russian Aerospace Forces currently have 52 Su-35 fighters. The Russian military released a promotional video showing the combat capabilities of the latest super-maneuverable 4++ generation Su-35S. The YouTube channel of the Russian Ministry of Defense posted a video detailing the capabilities of the new domestic fighter Su-35S. The video demonstrates a full flight — from take-off to aerobatic manuevers that only aircraft with thrust vectoring can perform. For example, the “maple leaf” formation executed by Russian fighter aces. Not only does the Russian aircraft possess outstanding maneuverability and dogfighting capabilities, but comes equipped with an enemy detection system with a range of 400 km. The plane’s combat systems can track 30 targets simultaneously and fire at eight of them. The Su-35S can carry up to eight metric tons of air-to-air and air-to-surface missiles of various range capability inside its 12-pod weapons bay. Moreover, the aircraft can deliver fire at a distance outside the coverage zone of the air defense systems of the potential adversary. The first batch of four Su-35 fighters was delivered to China late last year, and the coming years will see a further 12 aircraft enter service in Indonesia.